As part of her submission for the new Wicklow County Development Plan 2016-2022. 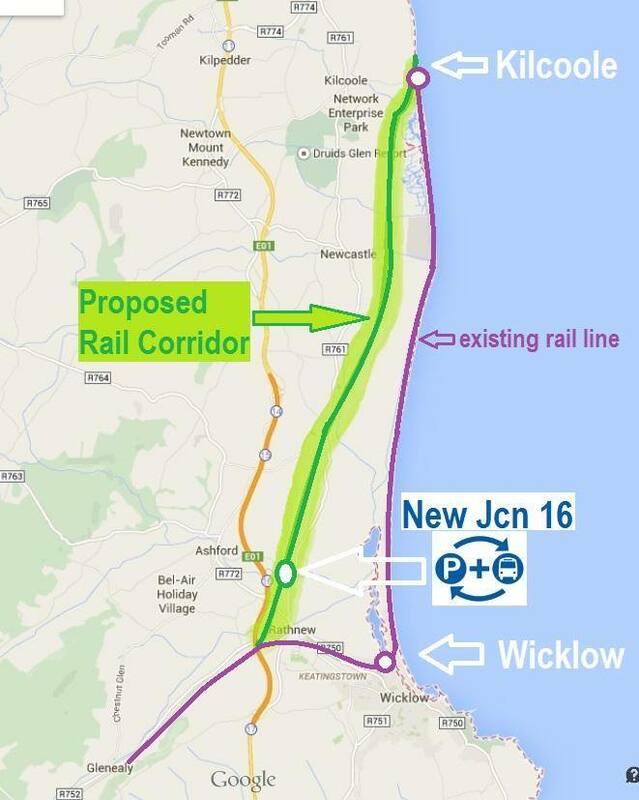 Cllr Irene Winters proposes that lands be reserved for a new rail corridor from Rathnew to Kilcoole. Cllr Winters says while she is hoping for a solution and funding to save the Murrough she believes it would be prudent long term planning to identify a rail corridor further inland and restrict development along that land to provide the option for future generations to have an alternate rail link with Dublin. A new rail link could be double track, helping to increase the frequency of service and number of passengers on the route. Submissions or observations from the general public regarding the preparation of the new Wicklow County Development plan are invited from the public and interested bodies between the period 28th October 2014 to 23rd December 2014. Children, or groups or associations representing the interests of children, are also entitled to make submissions or observations.